Tortilla chips topped with taco meat and refried beans smothered with nacho cheese and topped with jalapenos and diced tomatoes. Served with sour cream on the side. Tortilla bowl filled with refried beans, taco meat topped with nacho cheese, guacamole, jalapeno peppers and chips on the side. Topped with taco meat, tomatoes, jalapeno peppers, and nacho cheese. Topped with tangy chicken, tomatoes, jalapenos peppers, and nacho cheese. Twelve bite-size chicken tacos served with sour cream. Six rolled crisp corn tortillas stuffed with ground beef. Served with sour cream. Topped with cheddar or Mexican cheese. Eight chicken wings served with creamy ranch dressing. Six jalapeno peppers stuffed with cream cheese or cheddar cheese, breaded and deep-fried. Served with our sweet tangy pepper jam. Mushrooms dipped in batter and fried to a crisp golden brown, served with cheese sauce. Flat crisp flour tortilla topped with Chihuahua and cheddar cheese. Served in an edible flour taco bowl. White cheese available upon request. Your choice of fajita steak or fajita chicken with lettuce, tomato, cheddar cheese and sour cream. Filled with steak, cilantro, onions, lettuce, tomato, and cheddar cheese. Homemade guacamole and seasoned beef with lettuce, tomato, and cheddar cheese. Seasoned beef and refried beans with lettuce, tomato, and cheddar cheese. Seasoned beef with lettuce, tomato, and cheddar cheese. Shredded chicken cooked with jalapenos, in a mild tomato sauce and topped with tomato, lettuce, and cheddar cheese. Filled with beans, lettuce, tomato, and cheddar cheese. 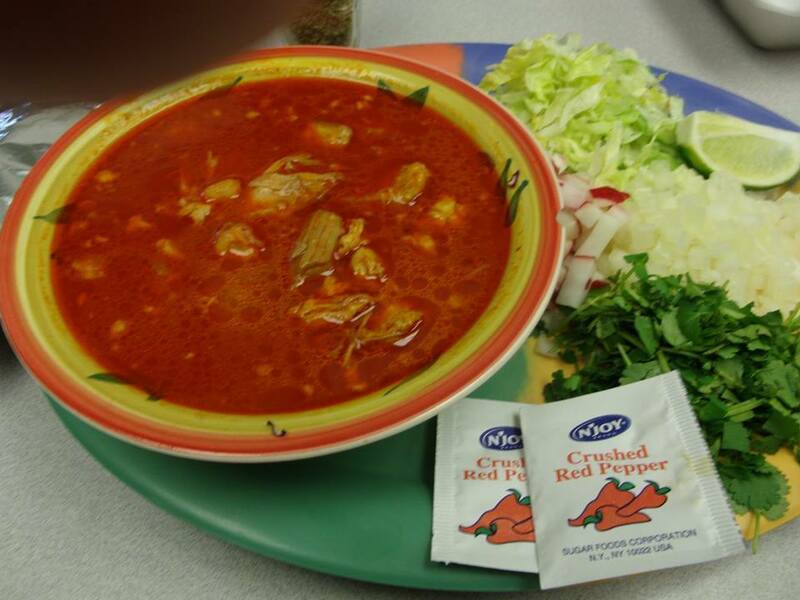 A rich traditional Mexican soup, made with pork, hominy, red chiles, oregano, onions, lettuce, lime, cilantro, crushed red pepper flakes, and tortillas on the side. * Asada and Pastor tacos are served on soft warm white corn tortillas with cilantro, onions, and lime. Soft flour shell with steak or chicken with grilled onions, bell peppers, lettuce, tomatoes, and sour cream. Soft flour tortillas filled with hash browns, tomatoes, onions, peppers, cilantro, and sour cream. Fajita dinners include a choice of meat, grilled onions, grilled bell peppers, beans, rice, lettuce, tomatoes, cheddar cheese, guacamole, sour cream, pico de gallo, and your choice of tortillas. Flour tortillas filled with chorizo, potatoes, and onions. Rolled up in a flour tortilla and fried. Topped with our special enchilada sauce with Mexican cheese. Served on double corn shell with lettuce and Mexican white cheese and cheddar cheese upon request. Served with sour cream and guacamole on the side. Grilled diced steak, melted Chihuahua and cheddar cheeses and homemade Mexican salsa. Stuffed full of our grilled chicken, melted Chihuahua and cheddar cheeses and homemade Mexican salsa. Melted Chihuahua and cheddar cheeses and homemade Mexican salsa stuffed inside grilled tortillas. Beef taco, bean tostada, and beef enchilada. Beef taco, bean tostada, beef enchilada, refried beans, and rice. Beef taco, bean tostada, beef enchilada, beef and rice burrito, refried beans, and rice. Beef taco, bean taco, chicken taco, carne de res taco, topped with lettuce, tomatoes, and Mexican white cheese served with our freshly made taco chips. Your choice of corn or flour tortilla. Tender pieces of beef stew cooked and simmered in a blend of vine ripe tomatoes, Serrano peppers, and spices. Served with refried beans and rice. Tender pieces of steak simmered in your choice of hot, mild, or green sauce. Served with refried beans and rice. Tender pieces of cubed pork simmered in our special hot sauce. Served with beans and rice. Tender short pork ribs simmered in our special hot sauce. Served with refried beans and rice. Poblano pepper stuffed with chihuahua cheese, battered in egg and fried golden brown. Topped with our mild ranchero sauce, served with refried beans and rice. 2 flour tortillas filled with shredded beef or chicken, fried to a golden brown, topped with melted cheese and served with rice, beans, sour cream guacamole, lettuce, and tomato. A large flour tortilla filled with carne de res, lettuce, American cheese, and tomatoes, topped with carne de res sauce and Mexican and American cheese. Large flour tortilla folded up and filled with diced steak, lettuce, tomatoes, onions, cilantro, jalapenos, sour cream, guacamole, refried beans, and Chihuahua cheese. Flour tortilla filled with our spicy cubed pork, refried beans, rice, and guacamole rolled up and smothered in more spicy pork, cheddar & Chihuahua cheese. Large flour tortilla filled with our famous taco meat, refried beans, sour cream, lettuce, cheddar cheese, and our homemade Mexican salsa. Two corn tortillas, chicken, smothered with chili verde salsa, topped with melted Chihuahua cheese. Served with rice and sour cream. Two crisp flat corn shells, one with refried beans and lettuce, the other shell is filled with taco meat and lettuce, topped with yellow cheese, sour cream, guacamole and topped off with diced tomatoes. 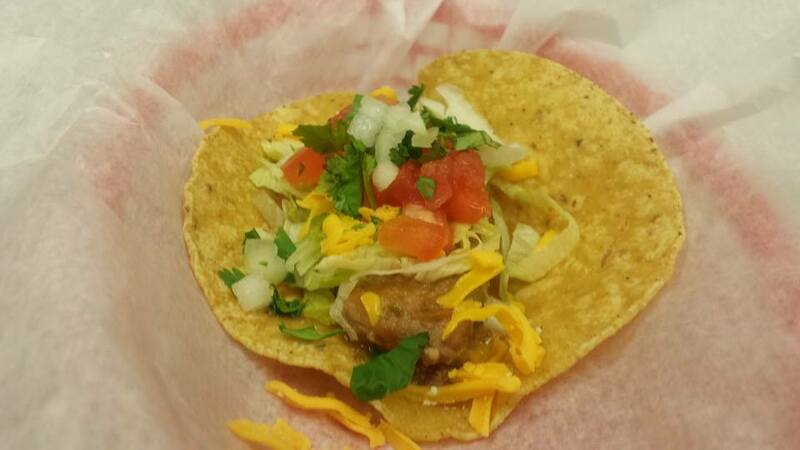 3 crisp corn tortillas rolled up and stuffed with your choice of beef or chicken. Served with rice, beans, sour cream, guacamole, lettuce & tomato. Flour tortilla stuffed with beans, rice, carne de res, lettuce and tomatoes all rolled up. Covered in melted cheddar cheese with sour cream on the side. Crisp flat flour tortilla topped with refried beans, taco meat, lettuce, yellow cheese, tomatoes, onions, and sliced jalapeno peppers. An oblong Mexican sandwich. 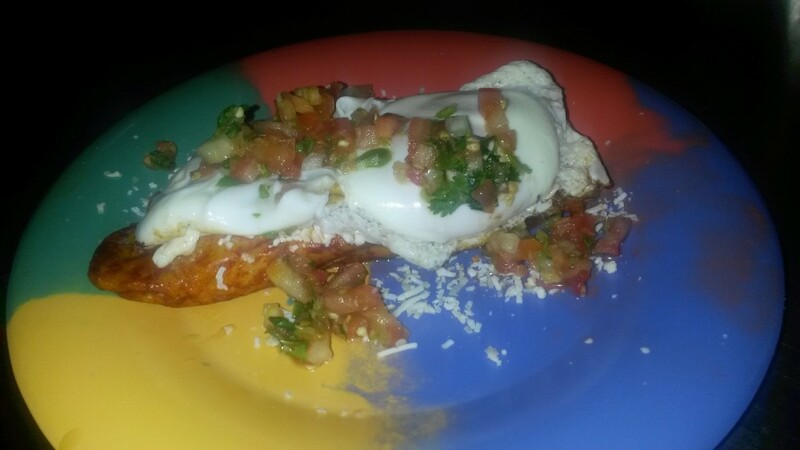 Filled with your choice of steak, chicken, pastor pork, or chorizo with beans, sour cream, onions, and jalapeno peppers. Five breaded chicken strips served with golden fries. Kids under the age of 10. Served with a churro and kids beverage. Beef taco, refried beans and rice. Cheese enchilada and a beef taco. Cheese quesadilla and six mini tacos. Vanilla ice cream rolled in a crunchy coating and deep-fried. 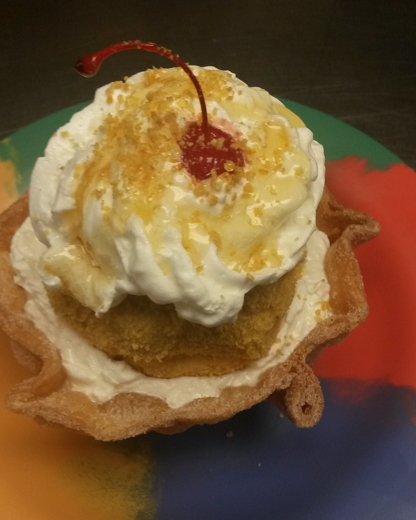 Topped with whipped cream and honey, served in a cinnamon and sugar covered tortilla shell. *Cheese Fries topped with cheddar and Chihuahua cheese with ranch dressing.